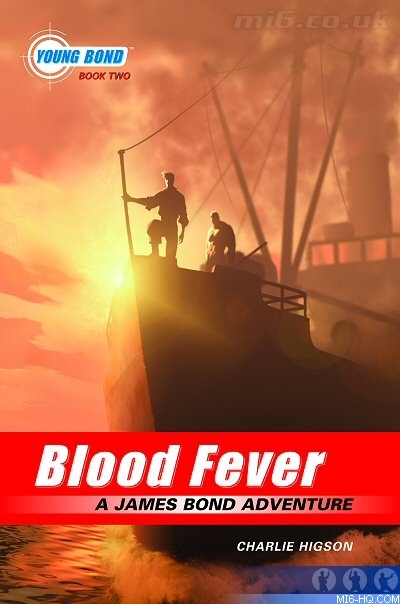 Blood Fever is set a little later after SilverFin How did you go about progressing the look of the Young Bond character? Was James easier to conceive this time around? Well actually Blood Fever is set the following Summer, so really James hasn't changed that much, simply that I've had more practice drawing him. The Eton uniform hadn't changed much either, but his adventuring clothes had to reflect the hot dusty location of Sardinia he'd be visiting. So James was certainly easier, but everything else was on a much grander scale. 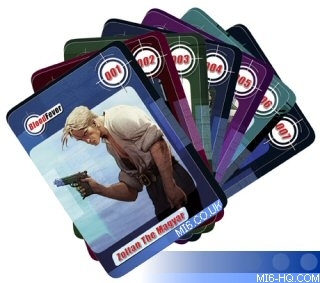 The cast of Blood Fever was a lot larger compared to SilverFin, for example Zoltan's crew. How long did it take to develop each character? Most the characters have darker undertones compare to SilverFin, how did you achieve this? SilverFin was actually trickier since all of the characters were pretending to be far more upstanding than they actually were. In Blood Fever we actually had characters who were out-and-out bad guys from the word go. Count Ugo is almost a vampire, an albino Christopher Lee. I had a young Oliver Reed in mind when I was trying to sketch Zoltan, and although he looks nothing like Ollie Reed it was that air of repressed violence I was trying to capture. One wrong look and he'll cut you in two. 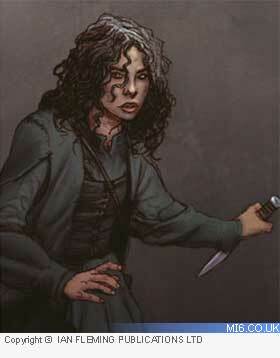 Most of the pirates are archetypes. The big muscular henchman, the small weasily ones. Charlie wanted a variety of race types, since the pirates weren't particular who they sailed with. They're all petty criminals and thugs. Whereas Smiler, well he's a stone cold killer. Unlike Zoltan he wouldn't bother trying to repress the anger. The scars tell it all. You produced several action scenes for this book. How did you go about select the scenes? Very easy for me, that one. Fleming Media told me what scenes they wanted and I obliged. You created several environments/ location images, how did these come about? How did creating these differ to that of characters? Actually the locations were harder this time round. There were more of them, and Charlie had very particular details in mind. Both Ugo's Mountain Hideaway and Casa Poliponi went through several variations before we reached the final compositions, unlike the characters which actually came pretty easily this time. So there were descriptive passages in the book, and Charlie's ideas I had to work to. Was the development cycle different the second time around? Where you given more creative freedom? At what stage did you get involved with developing the characters? It was quicker this time. We didn't have to worry as much about the look and feel of the characters, the techniques I was using to draw and colour the images. It was much more free, and I think everyone was happier to just let me get on and do my thing. Which is nice. What was the length of time you spent on each character beginning to end? Which character was the most rewarding to draw? Zoltan without a doubt. He's the villain with a code of honour, who gains redemption for his past acts. Which image are you most proud of from Blood Fever? The destruction of the Dam. A traditional 'Bondian' destruction of the villains lair. How did you go about conceiving the book jacket artwork for Blood Fever? How many designs did you go through until it was decide which direction to go in? I just did two designs. After a brief discussion with Ian Fleming Media, they told me what the US publishers were looking for. But I thought something else would have been better. Of course they didn't choose the idea that I came up with. But it did stir some interest, so it may be used at a future date. Of course I had very little time, so it was really the first thing that came into my head, sometimes those are the best ideas anyway. How long did it take to create the art start to finish? About 3 weeks from brief to finished art. The elements were a mixture of things, some computer generated (the sky and the water) some hand drawn (the boat and figures) and some cut from my own photographs (the bow wave). Will you be revisiting SilverFin in the near future creating this unique cover art style? Many thanks to Kevin Walker.